Manuel Pastor, Professor of Sociology and American Studies & Ethnicity at USC and Director of USC’s Program for Environmental and Regional Equity (PERE), speaks at the 4th Annual Housing Conference on April 4. Housing on Merit has long been a vocal advocate for residents of affordable housing communities. Our Planning & Programming Coordinator, Vivian Preciado, recently attended the 4th Annual Fair Housing Conference, which brought together fair housing practitioners, policy makers, housing advocates and developers, community leaders, and top experts to discuss fair housing discrimination issues and solutions. Keynote speaker Manuel Pastor, Professor of Sociology and American Studies & Ethnicity at USC and Director of USC’s Program for Environmental and Regional Equity (PERE), challenged participants to consider fair housing and cross-over issues as opportunities to innovate and improve our communities from within. 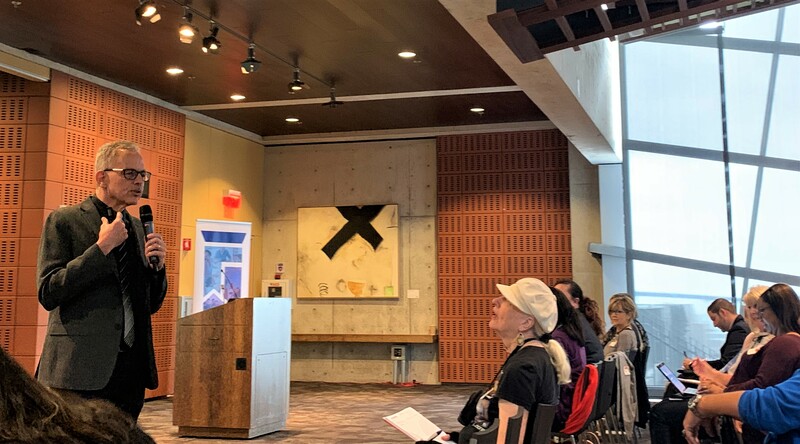 Council President Georgette Gomez officially declared April as Fair Housing Month in San Diego, and acknowledged the ongoing affordable housing crisis and the need to include residents when discussing solutions.